We’re pleased to report that its 1300th luxury bus conversion, an industry record, is in production at the Oregon manufacturing facility. 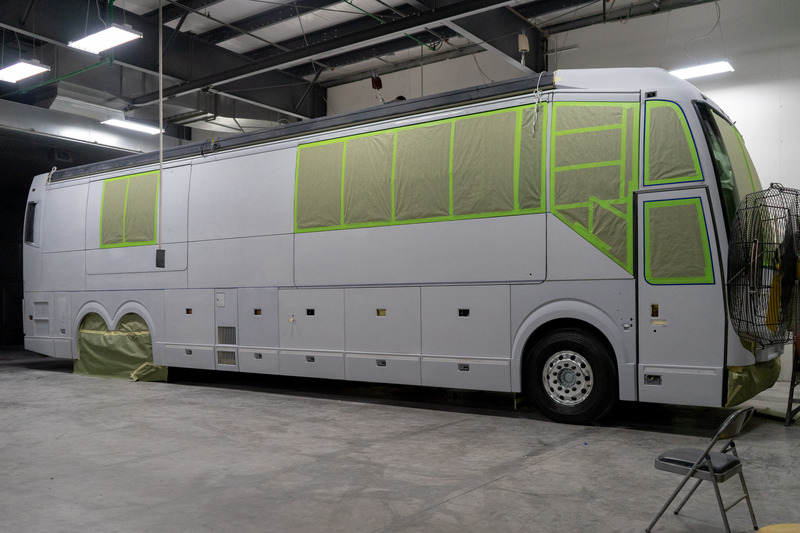 Marathon Coach, founded in 1983, is the first and only company to build over 1,000 custom luxury bus conversions. Marathon Coach #1302, an H3-45 quad-slide, will feature a brand new floor plan with an expansive rear bath. Inspired by the elements, custom shades of gold, pewter, charcoal and white over a base of jet black will make this luxury motorcoach one to remember. Shimmer meets sophistication in shades of bronze, black and gold with backlit onyx and avant-garde accessories slated for this extraordinary interior. Like all Marathons, the coach will come equipped with the very latest technology, including the company’s patented TechLink electrical system, home theater set up, iPhone interfacing of coach systems and Crestron coach controls. Thank you to all the wonderful customers and everyone in the Marathon family for making the 1300th coach milestone possible.